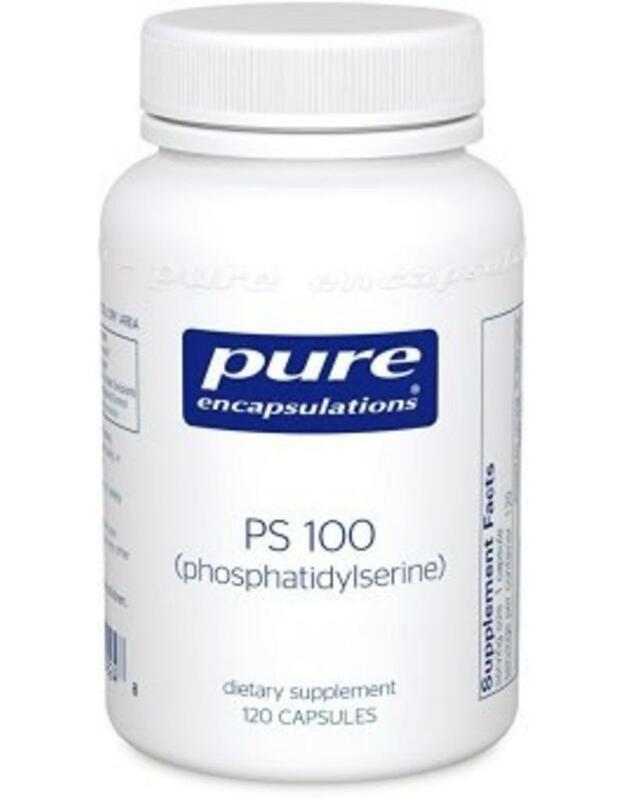 Pure Encapsulations PS 100 contains 95-98% phosphatidylserine derived from soy. There is no detectable GMO material in this product. 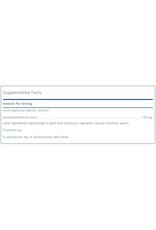 Hypo-allergenic plant fiber is derived from pine cellulose. 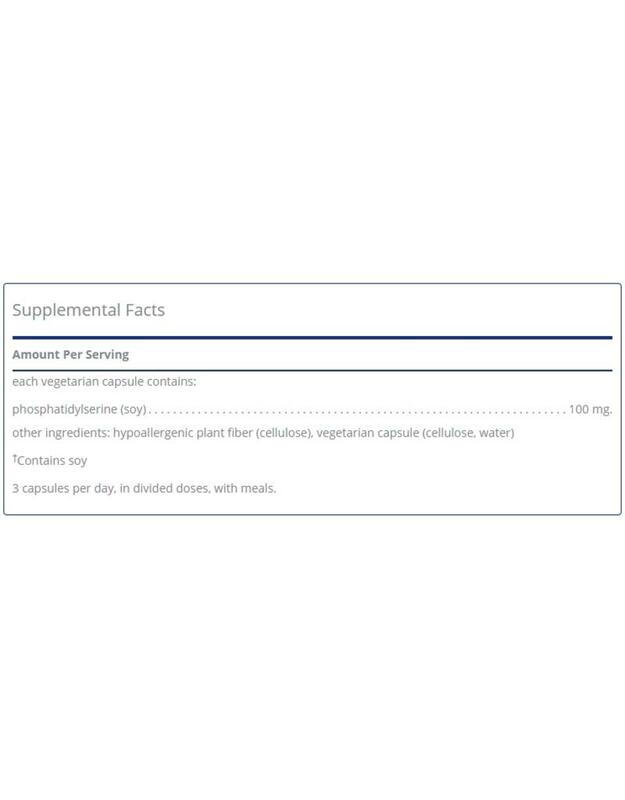 Each vegetable capsule contains phosphatidylserine (min.) 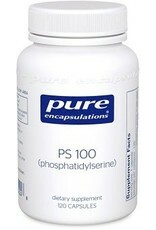 100 mg. (Hypo-allergenic plant fiber added to complete capsule volume requirement).